What Does Swiss Cheese Have to do with Mining Accidents? 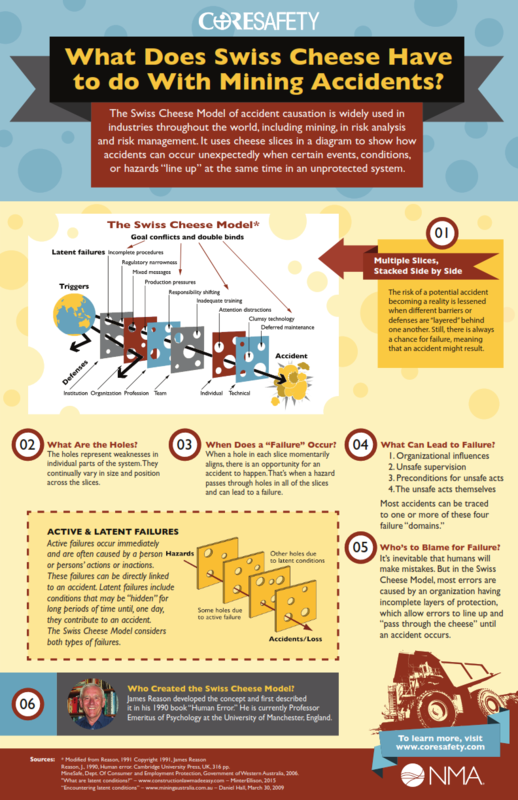 The Swiss Cheese Model of Accident Causation was developed in 1990 by James Reason and is widely used in industries throughout the world, including mining. When it comes to risk analysis and risk management, the model is an excellent visual representation of how accidents can occur unexpectedly. The model uses cheese slices in a diagram to show what can happen when certain events, conditions or hazards all “line up” at the same time in an unprotected system. It also demonstrates how the risk of a potential accident becoming a reality is lessened when you “layer” different barriers or defenses behind one another. Having a company culture that is highly safety conscious can go a long way toward avoiding unexpected accidents. 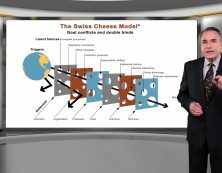 Want to know more about the Swiss Cheese Model? Watch our August 2018 episode of CORESafety TV. To really dig a little deeper into CORESafety’s Module 7, click here.